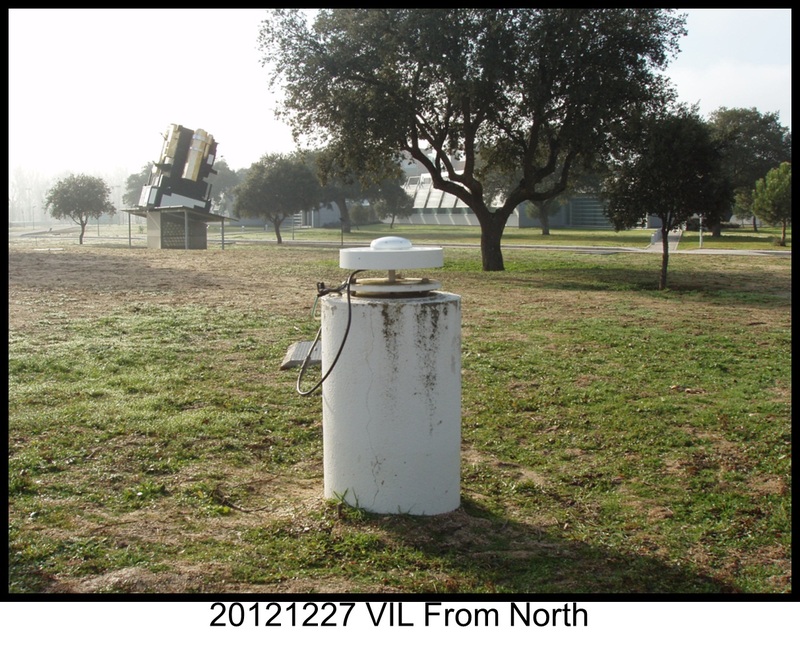 The receiver is situated in the Villafranca (VILSPA) ground station, located in Villafranca del Castillo, 30 km west of Madrid, Spain. This installation was performed on 12 November 1994. The monument is located in the centre of the station, between the ISO building and the transportable station. The cabling from the monument to the racks of the main building, where the receiver is integrated, is about 150 metres, much longer than the standard setup of the receiver. This made necessary the installation of an additional line amplifier close to the antenna. After a few years the RG-214 RF cable was replaced by another type with lower loss, making unnecessary the use of the amplifier. In 2001 the receiver was upgraded to an Ashtech Z-XII that is connected to the frequency standard of the station, a Cesium oscillator. In December 2012 the receiver was upgraded to a Septentrio Polarx4 and the antenna to a Septentrio Chokering to track all GNSS constellations. A computer connected to the ESA WAN performs the hourly receiver downloads and allows the remote control of the system. A PTU-200 meteorological unit was directly connected to one port of the Ashtech receiver, this was discontinued after 2005. The data provided by the pressure, temperature and humidity sensors are logged every five minutes and handled along with the rest of the data of the receiver.